Sydney school kids design a dangerous playground and win $100,000 to make it happen! What kind of playground would children create if they were let loose to design their own? Would it look like this? Well. a school in NSW is about to find out because the kids have won $100,000 to turn their creative vision into a reality. 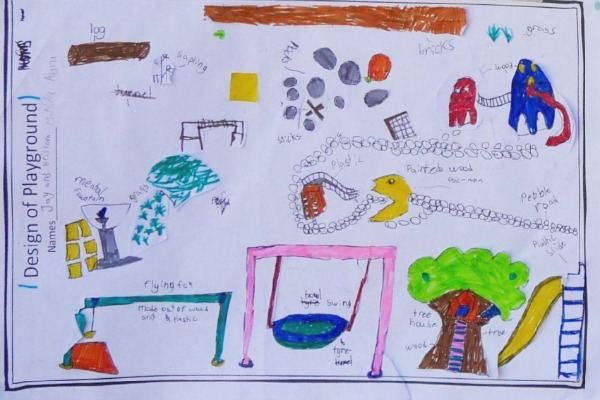 This hand-drawn picture of what a dream playground should look like, along with a proposal and video, has won students at Marrickville Public School $100,000 to play with in the My Park Rules! competition. And what do they want? Well, according to the kids, they want danger! 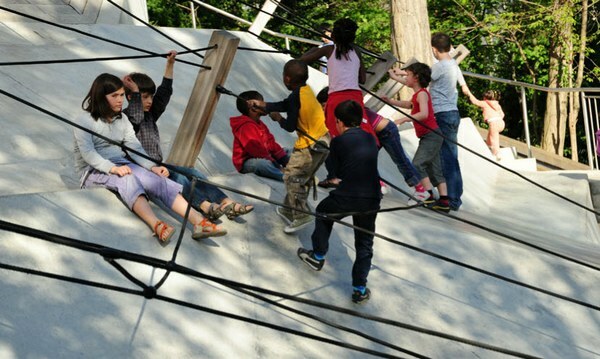 “Risky playgrounds give children a chance to have an adventure, an explorer expedition. In my opinion I think we should have at least a bit of danger in our lives, don’t you? It gives children a chance to not feel like they’ve been wrapped up in bubble wrap,” the kids wrote. With $100,000 to work with, students are already planning a greener play area filled with flying foxes, teepees, tunnels, pebble roads, tree houses and monster tongue slides. Organised by 202020 Vision and the Australian Institute of Landscape Architects (AILA), the competition called on pre-schools, day care centres and schools from around the country to submit ideas on how to reinvigorate their outdoor spaces. Marrickville Public School beat out 100 other entries and secured their spot as this year’s winning school. Plans for the new playground will commence this month and it should be ready for the kids by October 2016. Congratulations to the Marrickville community. For more park and playground perfection, check out the world’s best play spaces and parks, Australia’s best playground and our favourite international playgrounds.